Experts can easily join in-class meetings synchronously from around the globe with telecommute tools like Skype. 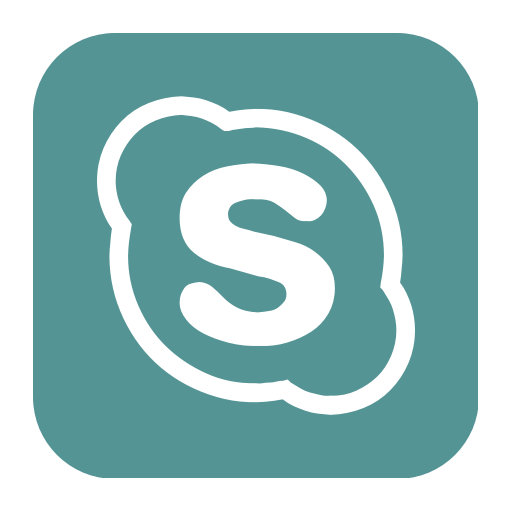 Skype can be configured to enable both the students and the speaker to see and hear each other using voice over IP and live streaming video. This eliminates the need for a physical presence, and prevents costly travel expenses. This allows experts to address classes from anywhere, and to respond to audience questions in real time. The quality and success of the experience depends on how well it is planned, designed, and executed. This involves the preparation of students, instructor, and guest speaker, as well as the design of the live interaction between the speaker and class, and how well the technology functions to support these efforts. When bringing in guests into the classroom either physically or virtually, it’s critical to consider the roles of both the students and the professor. By defining these roles in advance, you can decide the best ways to utilize the technology available to you. For example, if the role of the guest speaker is to provide students with feedback on their work, advance preparations need to be made to share the work with the guest, and to provide a framework for appropriately responding to the student work in the context of a classroom environment. It’s best to connect with the guest speaker in advance, and to begin the class session by introducing the speaker to the students, while describing how the session will run. For example: “Dr. Pin will run a question and answer session today. Dr. Pin has received questions from each student team. She will begin by repeating the questions aloud, and will follow up with her responses to each of them. The team who asked a question can then ask follow up questions or questions for clarification. This Q&A session should take about 45 minutes”. When using a tool such as Skype, you will want to ensure that your guest speaker and students can clearly see and hear each other. Both the instructor and speaker will need to have Skype installed on their computer and a registered Skype account. Skype works on both Mac and PC. Go to https://www.skype.com to download the latest version. The speaker will need to have a video camera and microphone in order to be seen and heard by their audience. In addition, the speaker will need to conduct the meeting from a room with good lighting, neutral background, and that is quiet. The graphic below illustrates all the components needed for the speaker’s set up. The instructor will need to prepare the classroom to ensure the speaker’s video feed is properly projected on the screen for all students to see. The audio output will need to go through the classroom or projector speakers for clear and audible sound. It is recommended that both the instructor and speaker connect by phone to walk through any issues during the initial setup. • Reach out to the W.R. Berkley Innovation Lab to coordinate the design of the educational experience. • Define the learning objectives for the session. Specifically, define the purpose of the session. • Identify and discuss the class with your speaker. • Identify the roles of the professor, instructor, and students. Communicate those roles to the appropriate parties. • Ensure that you and your speaker have the right technology and proper setting. 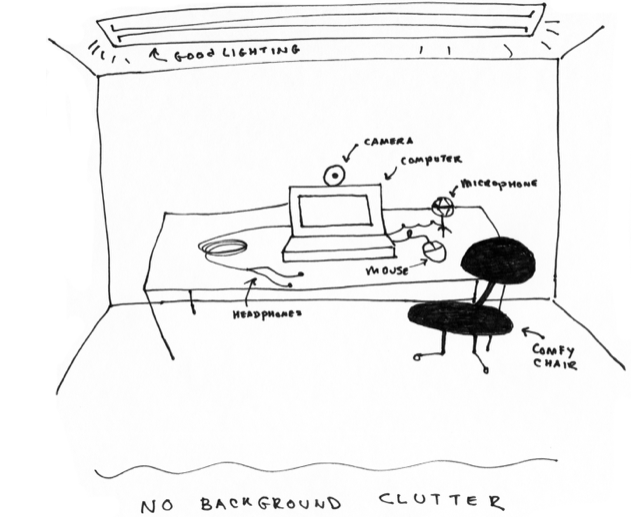 This includes good lighting, neutral background, quiet room. • Make sure any necessary updates, either to the device operating system, or for Skype, are made well in advance of the event. • Obtain your guest’s phone number. • Schedule a test call in the classroom where the class will be held. • Confirm with your speaker. • Ensure the camera – whether external or built into your monitor – is positioned to capture all participants. • Test your audio. If it’s coming out of the computer speakers and not room speakers you may need to make arrangements or troubleshoot to be sure the entire class can hear the guest. • If the guest is alone, ear buds or headphones with a built in microphone may be a good option for the clearest communication both directions. • Connect via Skype at least 20 minutes before the class begins. • Have each member of the class compose and send a thank you email to your guest, citing the most helpful information or learned skill. Consider composing a single a class thank you email. • Share your experience with the W.R. Berkley Innovation Lab. Did the students meet their objectives/expectations? Did students take advantage of this opportunity? What might be done differently to improve future guest speaker experiences?